Former WHYY reporter Elizabeth Fiedler and retired Philadelphia detective Nicholas DiDonato Jr.
We've seen people leave politics and enter the media. Sometimes we see the reverse: case in point, Elizabeth Fiedler. Fiedler, who spent the last 10 years as a reporter at WHYY, left the NPR affiliate last month so she could consider an entrance into South Philadelphia politics. "The response I've received from people in and around my neighborhood has been really overwhelming," Fiedler said. City & State PA was first to report on Fiedler's interest in entering city politics. So far, the 37-year-old former journalist isn't fully committing to a run for office. But all signs point to Fiedler, who has set up campaign-oriented social media accounts and recently attended a progressive political candidate training session in Washington, challenging longtime State Rep. William F. Keller, who has represented the 184th District since 1992, in the 2018 Democratic primary..
"I live in the 184th. I'm exploring the 184th," Fiedler said. She and her family moved to the South Philadelphia district last year. In recent years, Fiedler was most often heard reporting on the WHYY health show The Pulse, which airs Fridays at 9 a.m. She previously worked as a politics and community affairs reporter, covering people and events across the city. "I think my time as a journalist really informs the way I interact with people," Fiedler said. "One skill that good reporters know is listening. You ask a question and listen to what people say." 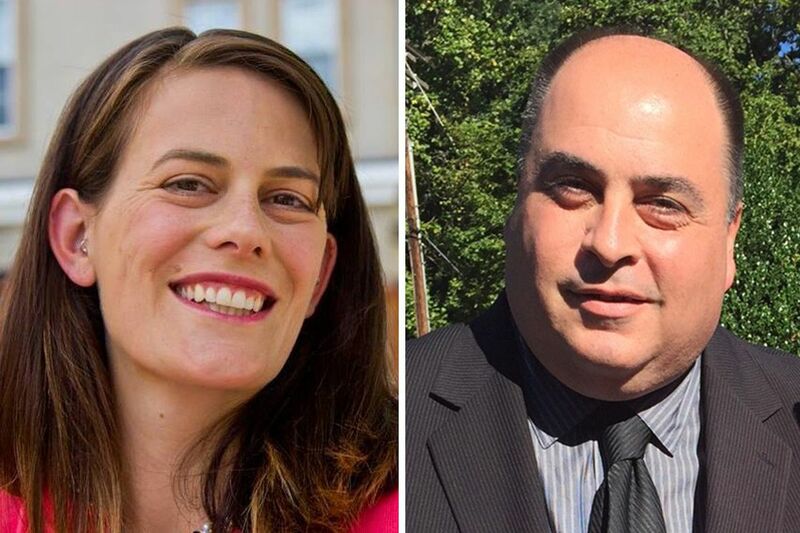 For Fiedler, health care and education are the two biggest issues facing residents of the 184th District, which includes Pennsport, East Passyunk Crossing, Dickinson Narrows, and other parts of South Philly. On her campaign-style Facebook page, Fiedler shared a recent Inquirer and Daily News story about Philadelphia Electrical and Technology Charter High School, which was founded by labor leader John J. Dougherty. The story reported that there is no record of any graduate of the school entering Local 98's apprentice training program. Meanwhile, the school employs a number of family members and friends of Dougherty. I was just talking with an outraged South Philly mom about this article. 15 years in, this charter school has sent ZERO graduates to the Apprentice program. ZERO. Fiedler declined to expand on her Facebook post. Keller, her potential opponent, is on the charter school's board. Keller did not return multiple requests for comment. Fiedler isn't the only primary challenger the longtime representative is likely to face. Nicholas DiDonato Jr., a retired Philadelphia police detective, has also launched a campaign Facebook page and announced his entrance to the race. Keller hasn't faced a primary opponent since 2008. "Rep. Keller is not visible in the 184th District and many residents feel as though only small areas of the district are being served," said DiDonato, 48. "He has had 24 years to make things happen. Many residents do not even know him." DiDonato, who retired from the police force in February 2015 and is now director of security for a school bus company, comes from a family with a footprint in local politics. His father, Nicholas Sr., was a committeeman for 40 years in the 39th Ward, and his uncle is former State Rep. Anthony DiDonato, a Democrat who represented the 185th District from 1975 to 1976. For DiDonato Jr., chief issues include parking and treatment of the Mummers. He suggests relaxing parking enforcement in neighborhoods where available spots are scarce. "South Philadelphia has a significant shortage of legal parking available, and enforcement of median parking spaces will only further complicate an already complex issue for residents," DiDonato Jr. said, noting that he supports enforcing violations against drivers who park in ways that impede public safety. There are no declared or prospective Republican candidates in the district.